Un important séminaire se tiendra les 8 et 9 novembre prochain à Moscou sur la question des villes intelligentes ou “Smart Cities”. Je publie ici la contribution que je présenterai et qui porte sur l’enracinement de la problématique des villes intelligentes dans une problématique plus ancienne, mais extrêmements féconde, celle de la “Science Régionale”. Cette dernière s’est, dès son origine, intéressée aux “effets d’agglomération” et au développement urbain. A travers des concepts comme ceux de « métropolisation », de « ville polycentrique » ou de réseau urbain, elle aborde donc des questions essentielles pour la compréhension des villes intelligentes. Il faut, en effet, prendre garde de ne pas aborder cette question uniquement sous l’angle du développement des techniques modernes. C’est un piège intellectuel que nous tendent les grandes entreprises qui sont à l’origine de la création du terme de « Smart cities ». La question du développement de villes qui soient plus vivables, plus « vertes » et plus démocratiques renvoie aux fondamentaux de la Science Régionale. Le texte qui suit est en anglais, qui sera la langue de travail du séminaire. We entered the 21st century facing a strong and global trend of massive urbanization. This trend lead to increasing concentration of the population in relatively few, large cities and this is exacerbating the share of GDP, which is produced in cities (80%). In the 18th century less than 5% of the world population lived in a city. Today, more than 50% (actually 54% in 2017) of the world population lives in a city and it is likely that by the end of this century the figure will be more than 80%. However in this trend we can see different movements. Parts of the large cities population move either inside the border of the agglomeration or sometimes outsides. This lead also to a process of redefinition of what a city, what an agglomeration, is. There is then no doubt that the city has become the central point in various social sciences and that agglomeration economics have become a very important topic in economics and regional science. Smart Cities have become an important topic in Regional science and in what can be called applied economics and geography. There is no doubt that the development of new technologies and especially information technologies have created their own issues. Actually, Smart cities are combining a production function (where they are supposed to foster innovation) and a housing and living environment one. But one can also see “Smart cities” as a new form of the industrial district issue. Regional science has known an important development in the late 1980 and the early 1990 when the Marshallian concept of the “industrial district” came back to favour and became major a topic in development studies. The turn in emphasis from the “industrial district” to “smart cities” is a much more recent one and one that could be traced to the massive development of information technologies. But still in smart city studies as in industrial district ones, the same range of issues are at stake. We propose then a short review of the issue, beginning by exploring the meaning and relevance of what has been called “regional science” and then focusing on the agglomeration effect to see what are the similarities and what are specificities of “smart cities”. What we call Regional science has traditionally been a field of the social sciences concerned with analytical approaches to problems that are specifically regional or urban. Topics in regional science include, but are not limited to location theory or spatial economics, location modelling, transportation, migration analysis, land use and urban development. It is also deeply concerned by development unbalance and the problem of what has been called misdevlopment. Regional science was founded in the late 1920s when some economists began to become dissatisfied with the low level of regional economic analysis and felt an urge to upgrade it. But even in this early era, the founders of regional science expected to catch the interest of people from a wide variety of disciplines. 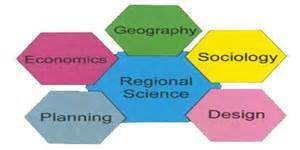 Regional science has ever been an example of cross-disciplinary research. But, if the diversity of disciplines participating in regional science has helped make it one of the most interesting and fruitful fields of academic specialization, it has also made it difficult to fit the many perspectives into a curriculum for an academic degree. Regional science took-off in the wake of Walter Christaller’s book Die Zentralen Orte in Sűddeutschland soon followed by Tord Palander and August Lösch’s Die räumliche Ordnung der Wirtschaft. It focused from its very beginning on the issue of cities and urban network. Regional science’s formal roots date to the aggressive campaigns by Walter Isard and his supporters to promote the “objective” and “scientific” analysis of settlement, industrial location, and urban development. To this core of innovative academic works were soon added important study mostly concerned with economic development (like inter alia Perroux, Hirschman, Ponsard) and monopolistic competition (Chamberlin). By the late 1980’s, Paul Krugman, himself a highly regarded international trade theorist, put out a call for economists to pay more attention to economic geography in a book entitled Geography and Trade, focusing largely on the core regional science concept of agglomeration economies. Krugman’s call renewed interest by economists in regional science. To some extent it contributed to found what some term the “new economic geography”, which enjoys much common ground with the old regional science. A key concept was the so-called “Industrial District”, itself coming from the works of the late Alfred Marshall. This concept became a key point by the end of 1980’s and the beginning of 1990’s. George Benko and Alain Lipietz developed this idea in Les regions qui gagnent a seminal book of the 90’s. They defended the idea that the industrial district was not just an important concept in industrial economics but one relevant too for a socio-economy of development. They compiled various authors, and used what could then be called the “Italian School”, to develop a theory of the local/geographic influences in economic development. But they showed too that urbanization and more specifically the type of urban form had decisive an impact. This theory put a great emphasis on the relevance of institution and one of its most important results was the demonstration that any market is a social creation. Institutions, their cultural and socio-political context, play a great role in the development of both markets and enterprises. But, the theory of the “industrial district” also allows us to think flexible specialization, a point made extremely important by the development of new technologies. Actually a significant part of these last years innovation took place in some “industrial district”. To some extent too new technologies are constantly redefining scope and borders of these “districts”. The coalescence of information technologies, institutional forms, repartition of political power and cultural contexts is central in the understanding of smart cities. These different factors are also crucial to understand why agglomeration matters in a logic where proximity became a strategy to both accumulate and communicate information. The new “regional science” or regional economics put indeed a great emphasis on the impact of agglomerations and cities on development. To some extent this has been already the case in the Marshall’s theory of the industrial district. But, this doesn’t stop to a study of how agglomerations are influencing, and sometimes disturbing, the development pattern in a given country. The emphasis is also put on the reason why some cities or agglomerations are having this magnet effect that can alter to a considerable extent the development process. Reasons are numerous. Of course large agglomerations bring with them economy of scale, a large demand linked to the population, a good infrastructure network and, usually, are well connected to the extern world, either by sea or land transportation. In this perspective it is also important to look at cluster effect of large infrastructure like ports. As a matter of fact the influence of seaport infrastructure of the cluster Le Havre-Rouen in France extends its influence to Paris as well as the specific dynamics of the metropolis (Paris) is influencing the cluster. Le Havre-Rouen is a global port and its scores well in terms of maritime accessibility. It can pride itself on a relatively large number of operators, vessels and direct calls at its port, which are an indication of good maritime connectivity. Paris, on the other hand, is a global city. This interesting combination has not been lost on many observers, and the relationship between the two cities – as well as between Normandy and Greater Paris – has been a recurrent subject of interest. This is just one example of how infrastructure development can induce the agglomeration effect. But, in return, it is important to understand how this agglomeration effect could benefit to the development of infrastructure. But this is not the end of the game. Large agglomerations allow for the concentration of specific competence, knowledge and know-how. These formal and informal information networks play also a large role in the development of innovation and specific economic activities. But, these networks are themselves highly dependent on the governance institutions then in place. In the end the problem of cities and agglomeration have predated by decades the one of “smart cities”. These last are sharing with the older problematic a lot of issues. Still, they have also their own specificities. Understanding these specificities is certainly now an important topic for regional science. An important problem here is what has been called the Tiebout Hypothesis. This theory concludes that an individual or family’ s decision to move to a community matches their desired level of public goods. There is no doubt that the level (and the quality) of public goods supply plays great a role in the decision to move made by individuals or families. Cities and agglomerations have been seen for centuries as places where the supply, and the quality of supply, of public goods has been particularly good. This has been one of the main factors of the making of the “Large” and the “Very Large” city, with people flocking with time to the place where they were seeing, or supposing, that the public good supply was good. Of course the development of public transportation, both intra-agglomeration and inter-agglomeration, played decisive a role here. Here it is to be noted that the possible implantation of the “Very Fast Train” (or TGV) in North America has generated in in depth study of the economic and social impact. This point have figured high in the research agenda in France too. Transport infrastructure has been hypothesised to impact on the economy by different strands of economics, and to have a deep effect on to the birth of cities and agglomeration economics. This can be found both in neoclassic economics as well as in institutional economics. Classical location theory emphasised the role of transport costs as a determinant of the location of economic activities. The New Economic Geography and Regional Science also emphasise the role of transport costs as a location factor. This role was seen as important in the development of the agglomeration effect. They however do that within the context of imperfect competition and different degrees of interregional labour mobility. The theory of endogenous growth also developed a framework in which public infrastructure, including then transport infrastructure, can be defined as a source of economic growth through its contribution to technical change. A reduction in transport costs and transport improvements are making displacement faster and easier. This is true for public but also for freight transport. These factors lead to a reduction in firms’ input costs or could allow them to have access to a greater and more effective resources pool and thus increase factor productivity. In addition, lower production and distribution costs induced by transport improvements can also result in scale effects and foster competition levels, which in turn result in higher overall productivity levels due to a natural selection process. There is then empirical evidence showing that transport improvements also enhance economic growth, and these improvements are usually coming first in or around large agglomerations. But transportation infrastructure can also foster the development of a polycentric agglomeration through the formation and development of sub-centres. This has been noted in the impact of the “Very Fast Train” (or TGV) development in France. If the general impact of a strong emphasis on public transportation is generally beneficial to the productivity and influence of an agglomeration, it is important not to underestimate the potential redistribution of functions and wealth, which could then take place. Such wealth redistribution could take place inside the agglomeration as it could take place between cities and agglomeration. Here the example of redistribution effect generated by the location of stations is important to note. To some extent competition between cities and even parts of large agglomeration around the location of a given TGV station could influence the general pattern of local economic development. As a matter of fact one has to be very cautious about possible perverse effects of this location as mobility and non-mobility could be a factor of social segregation. However, the agglomeration effects can also have a perverse dimension. Urbanization can also be linked to massive a problem of underdevelopment. Migration to a city could just be a despair strategy and not a strategy of hope and could lead to the development of slums. The poverty distribution pattern in Latin America, Africa and India is a case in this point. According to a survey made some years ago over 78% of the Latin America and Caribbean population lived in urban areas in 2007 with a high concentration of poverty. This is making this region a more highly urbanized one than Europe, Africa or Asia but also one where urbanization is liked to poverty. The present situation is a little better in Africa, but evolutions trends are showing the same pattern. In Africa, urbanization is lagging behind what we know in Latin America but it has too largely been translated into rising slum establishments, increasing poverty and inequality, with large variations in the patterns of urbanization across African regions. North Africa has a higher proportion of urban population (47.8%) relative to Sub Saharan Africa (32.8%). The relatively fewer slums in North African countries is mainly attributed to better urban development strategies, including investment in infrastructure and in upgrading urban settlements. In contrast, Sub Saharan Africa has the lowest proportion of urban population (32.8%), but the highest proportion of slum dwellers (65%). The growth of Sub Saharan Africa population, and of urban population, could well be explosive in the future years. In India we have too a large urbanisation trend that would pose unprecedented challenges to India’s growing cities and towns in providing housing and infrastructure (water, sewerage, transportation, etc. ), and addressing slums. Already, slums account now for about 26% of all urban population in cities. In Mumbai, more than half the population lives in slums, many of which are situated near employment centres in the heart of town, unlike in most other cities in developing countries. Latin America and Caribbean countries, which consists primarily of medium-income to low-income countries, are also more urban than the average for the high income countries, according to the World Bank. Urban populations in Latin America and Caribbean countries have tended to concentrate into large cities. There were 67 cities in Latin America and Caribbean countries in 2005 that had populations of over one million inhabitants and four cities with populations of 10 million or more — Mexico City (19 million), Sao Paulo (18.8 million), Buenos Aires (12.8 million), and Rio de Janeiro (11.7) million. By 2020, Africa will have too 11 mega-cities (with 5 million inhabitants or more) and almost 3000 cities with populations of more than 20,000, an increase of almost 300% from 1990. This level of population is raising specific problems « per se ». Not only this situation is putting agglomeration infrastructure under big constraints but it raises problem of environment and crimes, which are at best extremely difficult to manage. A similar situation can also be seen in Africa where population is driven toward the city either by the income ratio between “official” city income compared to rural ones, by the supply of public good or by non-economic factors like civil wars. aggregate in the developing world but appears to have done little for urban poverty, with the numbers of poor living in urban areas increasing at the same time that the number of rural poor have been decreasing. This process has progressed further in Latin America and Caribbean countries than in other regions. In Latin America and Caribbean countries, the majority of the poor (income of less than $1 a day) were already living in urban areas as of the mid-1990s, and by 2002, over 59% of those living on less than “$1 a day” and over 65% of those living on less than “$2 a day” were living in urban areas. Rapid growth in urban populations in Africa is also major a problem. It will entail a rapid growth both in the size and number of urban agglomerations. From these data we can see that urbanization could take very different forms either in developed countries or in poor ones. From this one can deduce that the development of “smart cities” is a luxury that only rich countries can afford. But problems of agglomeration development, problems of sustainability and of pollution are even worse in the poor country large cities. To some extent, the need to achieve a transition to a “smart city” or to find a way of increasing city “smartness” is even greater in a poor country than in a wealthy one. 4 – From formal to informal factors: tilting the balance? This turned the reasoning from focusing on “material” factors to look to “immaterial” ones, like institutions and “social capital” both at the individual and collective levels, making the link with the old vision of the city as a place of civilization. The informal mood that can develop in a city is also to be seen as a development factor. It is an important fact linked to what has been called the “framing effect”. And this last factor is then one of the important when it comes to a “smart city”. This raises the issue of the balance between formal and informal development factors, between structural and macroeconomic ones. Analysis of agglomeration and region-specific factors identified in the neoclassical and the endogenous growth theories are starting with Solow and Swan, both papers being published the same year. Endogenous growth models have been developed among others by Romer, Lucas, Aghion and Howitt. They emphasise the role of physical and human capital accumulation on economic growth. Physical capital accumulation can take the form of private sector investment or public sector investment (in infrastructure for example). Still these works emphasize a mechanical accumulation effect much more than the recombination effect that usually takes place when more modern capital is added to older one. This recombination effect is highly obvious in the development of agglomeration where quite frequently a very old capital is operated on the side to a modern one and with very specifically combinations. To some extent the density of economic activity, combining “old”, or traditional ones, to much more innovative and modern ones is also a factor of development and one that the traditional endogenous growth theory doesn’t see. Tilting the balance towards formal factors are argument made by the neo-Schumpeterian endogenous growth model by Aghion an other authors, which highlights the costs of market imperfections in upstream sectors. The broad conclusion of their model is that lack of competition in upstream sectors leads to lower productivity growth in downstream sectors. The difference in productivity attracts investment in downstream sector, usually emplaced in agglomerations. But two other factors have been identified in the literature as influencing positively sector productivity growth. First, we have the growth, which is coming at the international technological frontier for a given sector. It has a positive effect on growth in lagging country-sectors and it could be experienced mostly in enterprises developing in large agglomerations, as they are most exposed to international competition but also to exchange of information. Here we could see a specific agglomeration effect, related to the informal information structure created by accumulation of highly experienced people with a fair experience of what is done in other countries. This is called technological pass-through. Second, by a more traditional catching-up effect (as described in the late 1950 by Alexander Gerschenkron), the efficiency gap between this frontier and the follower sectors also enhances growth in the follower sectors. But we have too informal factors, usually studied by historians and sociologists, but of no less an importance to “formal’ factors. The emphasis put on to institutions in different studies is trying to capture this phenomenon. Governance appears to be an important issue. Spillovers form large agglomerations are also important and could redefine the map between winners and losers. This is not however the end of the game. The development of imperfect information theory of these last twenty years put a direct emphasis on “face to face” communication and on the behavioural aspects of economic interactions. We are entering a new conceptual world were “individual actors” are embedded into hierarchies and networks. This is obviously important as these hierarchies and networks will influence, directly or indirectly, individual decision making. But this is not stopping here and we have also to deal with a new situation were hierarchies and networks are no more to be seen as alternatives or in opposition. We can have recombination of hierarchies and networks, and there is some hierarchy in a network, as well as some network in a given hierarchy. But here, we are back to the issue of rules, be they formal or informal. However, three categories must then be distinguished. First of all there are the rules of the Environment that is rules that delimit the action space of the organization (be it a hierarchy or a network). Then we have Organizational Rules, which define the attributions of the members of the collective structure, and then Sharing Rules, which specify the conditions of distribution within the collective are added to them. These different kinds of rules emphasize the balance between delegation and on-the-spot democracy, a problem that itself paves the way to the balance between distance and proximity. This emphasis put on regions and agglomerations raises now the issue of what a city or an agglomeration is. As a matter of fact the agglomeration borders, the difference between administrative, economic and social borders and, in the end the more specific question of what is an agglomeration have considerably evolved in the last twenty years. The fact that the concept of polycentric urban systems emerged is a proof that borders are sometimes ill-defined and hard to define. As a matter of fact the emerging spaces where people live and work and where the bulk of economic interdependencies takes place is usually referred to in the literature as ‘functional regions’. They possibly didn’t recoup administrative regions as the law in different countries defines them. An economic region is not necessarily an administrative one. Among these functional regions, the ‘functional urban areas’ (or FUAs) are characterised by the presence of one or more urban centres, of different sizes and economic importance. These centres are forming sometimes what can be called a hierarchized system. The reduction of transport and communication costs will continue to make urban centres increasingly interconnected and change urban areas from monocentric agglomerations to a more polycentric system of integrated urban centres and sub-centres. This has to be defined. Starting with the most general meaning, any given area can be defined polycentric if it contains two or more centres. With just a bit more precision, an area is polycentric if its population or employment is not concentrated to a substantial extent in one single centre. The relevance of this idea is important when it came to study the development of large “de-facto” regions shaped by à massive urbanization. The concerned literature distinguishes between a morphological dimension – which focuses on population, employment, land use, and other material factors. – and a more “functional” one. Such a definition is linked to the functions carried out by cities or the connections among them. However, the two dimensions are actually very much related to one another and interactions between them are making a clear-cut distinction quite difficult. The morphological dimension of polycentricity focuses on the size and distribution of urban centres across space. This dimension is often associated with the extent to which territory is characterized by a balanced development or not and by long-term effect of previous administrative or development policies. The functional dimension of polycentricity focuses then less on the internal characteristics of the centres – such as size, density, etc. – and more on the way these centres organize the rest of the territory by supplying the functions that shape the territorial hierarchies. We are actually back to the Christaller’s idea. There is however a big difference between a loosely hierarchized polycentricity and one dominated by a big metropolis. The agglomeration effect is actually quite different in a big metropolis. The metropolis tends then to reorganize the whole polycentric system, imposing on other cities its own constraints and the political agenda of its leaders. The whole process of centre-periphery relations is born again but this time at a sub-national level. But in both cases it is clear that the borders of the city have become blurred. The distinction between what is a city and what is not, important for centuries, has become in some cases unusable. New concepts of course have been introduced in the last two decades to identify and describe regional spatial structures where several urban areas co-exist and might be able to generate positive externalities beyond the boundaries of the urban areas. The characteristics of regional spatial structures can have different implications in terms of economic outcomes through, for example, agglomeration economies or consumption benefits, ensured by a higher variety of consumption possibilities in large agglomerations. These advantages can be reached in large cities with high population and job density. However, it has also been argued that the advantages of agglomeration can be “regionalised”, and achieved in regions characterised by the presence of several interconnected urban centres. On the other hand we are confronted to the “metropolis” case, that is the giant city moving out of its traditional border like an unbound Prometheus. It is a problem both for developed countries and poor countries alike. These “Very Large Cities” or megalopolis are present whatever le level of development. This giant city not just grows by absorbing new territories. It grows to by exerting a magnet effect on to other and smaller cities, which then tend to lose their individuality and to become “satellites” of the bigger one. Sometimes, the development of transport infrastructure accelerates this phenomenon. One good example has been the impact of the French fast train system (TGV) on to medium cities like Le Mans or Vendome. The unrolled development of the very large city or Metropolis has been a problem faced by urban developer, economist and geographer for decades. As a matter of fact the spatial structure at the metropolitan scale has indeed multidimensional policy relevance. This spatial structure has been traditionally conceptualised in urban economics in the 1960’s as monocentric. It means that large cities were seen with a central business district (CBD) located at the centre of the area. The CBD was characterised by the highest job density. But this density was to decline monotonically as the distance from the CBD went increasing. However, metropolitan areas have been expanding in the last decades and their spheres of influence have changed and regionalised. In a time perspective, as technological progress takes place and income increases, the relative costs of being far from the main centre decreases and people can move further away from the CBD, where land is cheaper, congestion lower and housing size higher. In the same time development of new transportation infrastructure the opportunity cost of living far from the CBD is reduced and the upper income part of the population tends to favour places with less congestion letting the poorest part of the population to concentrate in what have previously been the wealthy centre of the city as in United States. But the reverse process could exist as well, and we are seeing what has been called “gentrification” of the city centre. This gave rise to a new form of inequality and social divide into the Very Large City. The VLC or Metropolis extension now goes often well beyond traditional administrative boundaries and, as a consequence, other new or pre-existing centres coalesce or integrate in the larger “functional region” or emerge from a decentralisation process from the CBD be it voluntary or not. Allen Scott has shown for Los Angeles that what is now dominating is a network of districts whose hierarchy is subtle and frequently evolving. Still some places are playing the role of a magnet for different economic activities. This magnet effect is of particular importance to understand how the megalopolis is internally constantly restructuring and evolving. As a matter of fact the way population and economic activities distribute across the metropolitan space can affect the economic performance of metropolitan areas, through shaping the intensity of agglomeration economies. The degree of metropolitan polycentricity has been found to be associated with higher car dependency. One can then hardly disputes M. Batty’s observation: “In the study of cities, there are many competing paradigms.” This is obvious in Regional science. Certainly the current awareness of asymptotic urbanization has stimulated a great number of debates, but also the feeling that “new technologies” are creating new problems. First, we have to try to assess the new reality. If the issue of “Smart cities” is not new it became major an issue approximately ten years ago. In the midst of the 2008-2009 economic crises most large cities of the developed and emerging world realized that they were in competition with other cities in ways that they had not previously experienced. They were not only competing with their neighbours at the national level, but also, and that was a result of the Internet and global supply networks, they were competing with peers on the other side of the world. The massive impact of new technologies, their widespread introduction, destabilized the whole process of urban design. However, the phrase « Smart Cities » is not completely new and may find its origins in the « Smart Growth » expression of the late 1990’s. The phrase « Smart Cities » has been adopted since 2005 by a number of technology companies for the application of complex information systems to integrate the operation of urban infrastructure and the supply of public goods. Broadband network developments are greatly affecting the interaction potential of various actors (e.g. individuals, small businesses, institutions and local governments,) by providing access to both worldwide knowledge and information sources and resources as well as a broad range of tools to connect both locally and globally. Based on the challenging new network opportunities, and on steering competitiveness gains and community development efforts, the concept of “smart” communities and “smart” cities has appeared. Searching the literature available, however, a clear-cut definition of what are “smart” communities and “smart” cities does not exist. Furthermore, a number of terms similar to “smart” communities and cities have appeared. They were like ‘wired’ communities, ‘broadband’ communities, ‘digital’ communities, ‘networked’ communities, ‘smart community network’ and ‘community informatics’, ‘intelligent’ communities. All these terms seem to be used interchangeably by the various researchers adding a lot to the confusion. Sometimes, they appear however to be different. Hence, one author wrote about the difference about an “intelligent” and a “smart” city. They all imply nevertheless communities that are making “a conscious effort to understand and engage in a world that is increasingly ‘connected’ “. By the way, an important factor in the development of “smart cities thinking” has also been the necessity to make the city of the future much easier to live and “greener” than it previously was (hence the issue of sustainability), and to foster democratic process at the local level. Although there are certain differences in the way the above terms are used by the various researchers, all definitions have three key aspects in common, namely: the communication mean (network infrastructure – technology – ICTs); the process (networking of various actors); and the goal pursued (public involvement or other). “Smart” communities are defined as those communities in which local leaders and stakeholders, by use of electronic networks and the Internet, are forming alliances and partnerships in order to innovate and extract new economic and social value. In this definition, emphasis is placed on the network deployment (transport and ICTs), but also on investments in human and social capital in support of sustainable community objectives and quality of life, by means of engaging social participation as well as user-specific technologies and community-building applications. However such a definition overtakes the issue of conflicts arising, or that could arises, between different groups interested by what the city or the community could become. By the way, such a definition overtakes too the possibility that a dominant enterprise could have a predatory behaviour that could shape very differently the future of the city or community. From a Regional science point of view, the idea of a ‘wired’ city as the main development model and of ‘connectivity’ as a source of growth is brought to the forefront for increasing local prosperity and competitiveness. We are back to the issues of agglomeration effect and regional development, but in a quite different context and with a quite different vocabulary. A broader definition, provided at the Smart Cities Workshop, defines a “smart” city as “… a city that makes conscious effort to innovatively employ ICTs in support of a more inclusive, diverse and sustainable urban environment”, a definition that is also adopted by the California Institute for Smart Communities. An alternative approach for defining “smart” communities’ is to place placing emphasis on the importance of social and environmental capital in urban development. This is important indeed. Technology, how radical it could be, has never been the main primer of economic and urban development. It was governance and its linked social issues that were. Social conflicts were ever been both the core and the main accelerator of institutional emergence and development. This implies communities whose citizens are taught to learn, adapt and innovate, but also, and this is probably the decisive factor, communities whose citizens have the power to decide. People’s empowerment is decisive a factor for the development of a true “smart” city. It has a strong focus on social inclusion and on participation in community affairs and decision-making processes in order to reach social and environmental objectives. Benko G., La Science Régionale, Paris, PUF, 1998. Aydalot P., Dynamique spatiale et développement inégal, Economica, Paris, 1976 and Matteaccioli A., Philippe Aydalot, pionnier de l’économie territoriale, l’Harmattan, Paris, 2004. Christaller W. Die Zentralen Orte in Sűddeutschland, Gustav Fischer, Jena, 1933. Palander T., Beiträge zur Standortstheorie, Almqvist & Wiksell, Stockholm, 1935. , 419p. Isard, Walter, Introduction to Regional Science, New York: Prentice Hall, 1975. Isard, Walter. Location and Space-Economy: A General Theory Relating to Industrial Location, Market Areas, Land Use, Trade and Urban Structure Cambridge, Massachusetts, The MIT Press, 1956. Perroux F., Economic Space: Theory and Applications, The Quarterly Journal of Economics, Volume 64, Issue 1, 1 February 1950, p. 89–104. See also Perroux F., « Note sur la notion de pôle de croissance » in Economie Appliquée, n° 1-2, 1955, pp. 307-320. Hirschman A., The Strategy of Economic Development, ‪Yale University Press, New Haven, 1958 – Economic development – 217 p..
 Ponsard, C., Histoire des Théories Économiques Spatiales, Paris, Librairie Armand Colin, 1958. Krugman P., « The Increasing Returns Revolution in Trade and Geography », Paul Krugman – Nobel Prize Lecture, https://www.nobelprize.org/nobel_prizes/economic-sciences/laureates/2008/krugman-lecture.html and also Krugman P., Geography and Trade, Cambridge, Mass., MIT Press, 1991. Marshall A. Element of Economics of Industry, London, Macmillan and Co., 1900. Becattini G., « Les Districts industriels » in Maruani M., Reynaud E. et Romani C. (edit), La Flexibilité en Italie, Paris, Mire-Syros, 1989. Benko G et Lipietz A., Les régions qui gagnent – Districts et réseaux, les nouveaux paradigmes de la géographie économique, Paris, PUF, 1992. Benko G. and Lipietz A., « Le nouveau débat régional – Positions », in Benko G et Lipietz A., Les régions qui gagnent – Districts et réseaux, les nouveaux paradigmes de la géographie économique, op.cit., pp. 13-34. Bagnasco A., Tre Italie. La problematica territoriale dello sviluppo italiano, Bologne, Il Mulino, 1977. Becattini G., « Il distretto industriale marshalliano come concetto socioeconomico » in Pyke F. et alii Distretti Industrial e Cooperazione tra imprese in Italia, Florence, Banca Toscana, 1991. Sott A.J., « L’économie métropolitain : orgnisation industrielle et croissance urbaine » in Benko G et Lipietz A., Les régions qui gagnent – Districts et réseaux, les nouveaux paradigmes de la géographie économique, op.cit., pp. 103-120. Bagnasco A and Trigilia C, La construzione sociale del mercato. Studi sullo sviluppo di piccola imprese in Italia, Bologne, Il Mulino, 1988. Sabel C., « Fexible specialization and the Re-emergence of regional economies » in Hirst P. and Zeitlin J., (Eds), Reversing Industrial Decline ?, Oxford, Berg, 1989, pp. 17-70. Scott A.J. and Storper M., « Regional development reconsidered, » in Ernste H and Meier V. (Eds) Regional development and contemporary industrial response, London, Belhaven, 1992. Scott A.J., Metropolis : From the Division of Labour to Urban Form, Berkeley and Los Angeles, University of California Press, 1988. Baudouin, T., “Firmes globales et places territorialisées”, in Collin M., Ville portuaire, acteur du développement durable, L’Harmattan, Paris, 2003. Grumbach, A. et Associés, Seine Métropole – Paris Rouen Le Havre; le diagnostic prospectif de l’agglomération parisienne, Archibooks, Paris, 2009. Ahrend, R., E. Farchy, I. Kaplanis and A.C. Lembcke (2014), “What makes cities more productive? Evidence on the role of urban governance from five OECD countries”, OECD Regional Development Working Papers, No. 2014/05, OECD Publishing, Paris, http://dx.doi.org/10.1787/5jz432cf2d8p-en. Tiebout, C.M., « A pure theory of local expenditures », in Journal of Political Economy, 64(1), 1956, pp.416-424. Tittley F., L’impact de l’implantation d’un train à grande vitesse sur la croissance de l’emploi dans le corridor Quebec-Windsor, mémoire pour le M. Sc. Maîtrise de Science Urbaine, UQAM, Montréal, 2011.
de l’intermodalité aéro-ferroviaire à grande vitesse au rayonnement métropolitain, Thèse pour le doctorat en géographie et en aménagement, Université de Lille 1, 2006, 609 p.
 Weber, M., Theory of the Location of Industries, University of Chicago, Chicago, 1928. Moses, L.N., « Location and the theory of production », in Quarterly Journal of Economics, 1958, 78, pp. 259–272. Fujita, M.M., Krugman, P., Venables, A.J., The Spatial Economy—Cities, Regions and International Trade, Cambridge, Massachusetts and London, England, 1999. Fujita, M.M., Thisse, J.F., Economics of Agglomeration—Cities, Industrial Location and Regional Growth, Cambridge University Press, Cambridge, 2002. Button, K.J., « Infrastructure investment, endogenous growth and economic convergence », in The Annals of Regional Science, 32, 1998, pp. 145–162. Aschauer, D.A., « Highway capacity and economic growth » ; in Economic Perspectives 14, 1990, pp. 14–24. Baldwin, R.E., Okubo, T., « Heterogeneous firms. agglomeration and economic geography: spatial selection and sorting », in Journal of Economic Geography 6, 2006, pp. 323–346. Nocke, V., « A gap for me: entrepreneurs and entry », in Journal of the European Economic Association, 2006, 4, pp. 929–956. Mayer T and Trevien C., « The impact of urban public transportation : evidence from the Paris region », in Journal of Urban Economics, Volume 102, November 2017, Pages 1-21. Garcia-López M-A, Hémet C., Viladecans-Marsal E., « Next train to the polycentric city: The effect of railroads on subcenter formation », in Regional Science and Urban Economics, Volume 67, November 2017, Pp. 50-63. Klein O., Ravalet E., Vincent-Geslin S., Facchinetti-Mannone V. and Richer C., « Les gares TGV dans les zones périurbaines des villes moyennes sont-elles des vecteurs de métropolisation ? », XLIXe Colloque de l’ASRDLF, Belfort, 9-11 juillet 2012 ? expériences internationales (Italie, Japon, Pays-Bas) », Actes du séminaire international du 22 mars 1999 à Villeneuve d’Ascq, Arcueil, INRETS, 2001, 216 p.
 Troin J.F., « Désirs de gares TGV : du projet des édiles locaux au désaménagement du territoire », in Belgeo n°1-2, 2010, pp. 23-34. Facchinetti-Mannone V., Bavoux J.J., « L’implantation des gares TGV en France : tensions interscalaires, jeux d’acteurs et recompositions spatiales », in Belgeo, n°1-2, 2010, pp. 9-22. Ravalet E., Ségrégation urbaine et mobilité quotidienne, une perspective internationale, Etudes de cas à Niamey, Puebla, Lyon et Montréal, Thèse en Sciences Economiques mention Economie des Transport et en Etudes Urbaines, Université Lumière Lyon2 et Institut National de la Recherche Scientifique, Urbanisation, Culture et Société, 2009, 387 p.
Modernization, Urban Bias, and Economic Dependency, in American Sociological Review, Vol. 52, No. 2 (Apr., 1987), pp. 224-239. Solow, R. M., “A contribution to the theory of economic growth”, in Quarterly Journal of Economics, vol. 70, 1956, pp. 65-94. Romer, P., “Increasing returns and long-run growth”, in Journal of Political Economy, vol. 94, 1986, pp. 1002-1037 and Idem, “Endogenous technological change”, in Journal of Political Economy, vol. 98, 1990, pp. 71-101. Economics, vol. 22, 1988, pp. 3-42. Aghion, P and P Howitt, Endogenous Growth Theory, op.cit..
 Gennaioli, N., La Porta, R., Lopez-de-Silanes, F. and A. Shleifer, “Human capital and regional development”, NBER Working Paper No. 17158, 2011. Aghion, P and P Howitt, Endogenous Growth Theory, MIT Press, Cambridge, MA, 1998 ; Aghion, P., Harris, C. and Vickers, J., “Competition and growth with step-by-step innovation: An example”, in European Economic Review, Papers and Proceedings, vol. 41, pp. 771-782, 1997.
countries”, OECD Economics Department Working Papers No. 791, OECD Publishing, Paris, 2010. Henderson, V., Kuncoro, A. and Turner, M., “Industrial development in cities”, in Journal of Political Economy, vol. 103, 1995, pp. 1067-1090. Glaeser, E. L., “Economic growth and urban density: A review essay”, Working paper E-94-7, 1994, The Hoover Institution, Stanford University. Gerschenkron A., “Economic Backwardness in historical perspective”, in A. Gerschenkron, Historical Backwardness in Historical Perspective – A book of essays, The Belknap Press of Harvard University Press, Cambridge, Mass., 1962. Regional Development Working Papers, 2014 ; Kim, S.-J., A. Schumann and R. Ahrend, What Governance for Metropolitan Areas?, OECD, Regional Development Working Papers, 2014. Greenstone, M., R. Hornbeck and E. Moretti, Identifying Agglomeration Spillovers: Evidence from Winners and Losers of Large Plant Openings, in Journal of Political Economy, Vol. 118/3, 2010, pp. 536-598. Stiglitz J.E., “Information and the Change in the Paradigm in Economics”, in American Economic Review, vol. 92, n°3, juin 2002, pp. 460-501. Akerlof G.A., “Behavioral Macroeconomics and Macroeconomic Behavior” in American Economic Review, vol. 92, n°3/2002, juin, pp. 411-433..
 Sapir J., Quelle économie pour le XXIè siècle?, Odile Jacob, Paris, 2005.
polycentricity”, in Urban Studies, 49(5), 2012, pp. 1127–1149. Veneri, P., “The identification of sub-centres in two Italian metropolitan areas: A functional approach”, in Cities, 31, 2013, pp. 167-175 ; Veneri, P. and D. Burgalassi, “Questioning polycentric development and its effects: Issues definition and measurement for the Italian NUTS-2 regions”, in European Planning Studies, 20(6), 2012, pp. 1017-1037. Christaller W. Die Zentralen Orte in Sűddeutschland, op.cit..
 Duranton, G. and D. Puga, “Microfoundations of urban agglomeration economies”, in J.V. Leresche J-P., Joye D., Bassand M., (Eds), Métropolisations. Interdépendances mondiales et implications lémaniques, Genève, Georg, 1995.
scientifiques du transport, n°. 47, 2005, p. 61-88 and Bozzani-Franc, S., Grandes Vitesses, Métropolisation et Organisation des territoires : L’apport de l’intermodalité aéro-ferroviaire à grande vitesse au rayonnement métropolitain, op.cit..
 Alonso, W., Location and Land Use, Harvard University Press, Cambridge, Mass., 1964. Muth, R., Cities and Housing, University of Chicago Press, Chicago, Ill., 1969.
politiques publiques, Thèse de Doctorat de géographie, d’aménagement et d’urbanisme, Université de Paris 1 –Panthéon-Sorbonne, 2008, 602 p.
 Scott A.J., Technopolis: High-Technology Industry and Regional Development in Southern California, Berkeley and Los Angeles: University of California Press, 1993. Markusen A., « Studying regions by studying firms » in The Professional Geographer, (46), 1994, pp. 477-490. Frey, H. , Designing the City: Towards a More Sustainable Form, E&FN Spon, London, 1999. Dupuy G., La dépendance automobile, symptômes, analyses, diagnostic traitements, Antrhopos, coll. Villes, Paris, 1999 ; Dupuy G., Les territoires de l’automobile, Economica, coll. Antrhopos, Paris, 1995. Bollier, D., How Smart Growth Can Stop Sprawl, Essential Books, Washington, DC, 1998. Bell R., Jung J., Zacharilla L. (2008), Broadband economies: creating the community of the 21st century, published by the Intelligent Community Forum, New York, 2008. Coe A., Paquet G., Roy J., “E-governance and smart communities: a social learning challenge”, in Social Science Computer Review, vol. 19, 2001,, n° 1, pp. 80–93. Albert S., Flournoy D. and Lebrasseur R., Networked communities: strategies for digital collaboration, Information Science Reference, Hershey, New York, 2009. Owen, D., Green Metropolis, Riverhead, London, 2009. Frantzeskaki, N., Loorbach, D. and Meadowcroft, J., “Governing societal transitions to sustainability”, in International Journal of Sustainable Development, Vol. 15, 2012, Nos. 14. Portugali, J., Self-organization and Cities, Springer-Verlag, Heidelberg, 2000. Komninos S., Intelligent cities: Innovation, knowledge systems and digital spaces, London and New York, Routledge, 2002. SMART CITIES WORKSHOP, Eurocities, in collaboration with the European Commission’s Directorate – General Information Society and Media, Brussels, 2009, November 16-17. CALIFORNIA INSTITUTE FOR SMART COMMUNITIES, Ten Steps to Becoming a Smart Community, Los Angeles, 2001. Coe A, Paquet G and Roy J., “E-governance and smart communities: a social learning challenge”, in Social Science Computer Review, vol. 19, n° 1, 2001, pp. 80–93. Cela me rappelle un petit village d’Armorique qui résiste et résiste encore à l’Empire. Pour mieux le faire disparaître, l’Empereur avec l’aide des énarques de l’époque, fait construire un énorme domaine dans lequel les résistants se fondent et disparaissent. Mais dans les “cités”, le besoin du groupe, du clan, de la tribu fait descendre les escaliers des immeubles pour reconstituer “une société” avec ses lois, ses chefs, dans un monde parallèle. Pourquoi? Simplement parce que l’être humaine a besoin d’appartenir à un groupe, une famille, un cercle d’amis qui lui permet d’exister et d’avoir une identité. Les sociétés ne sont plus à l’échelle humaine, d’où le substitut via les réseaux sociaux, la virtualité, le narcissisme, la robotisation et la soumission, ou à l’inverse vers le communautarisme, expression du rejet d’un monde dans lequel les repères et les identités sont combattus et détruits. Dans le monde virtuel on ne vit plus à l’échelle humaine. c’est assez effrayant. Je vois gros comme une maison (:-) qu’au nom de la Ville Intelligente, grande idée qui va succéder à d’autres, on va encore bouleverser ce qui reste de petites villes douillettes à taille humaine. Le tout sans remettre en cause la fuite en avant que sont croissance économique, et surtout démographique. Ce qui inclue l’immigration encouragée. Merci de ne pas insulter la mémoire d’Auguste Perret qui a produit des lieux beaux et agréables à vivre (très très en avance sur leur temps) là où l’echelle pharaonique de la reconstruction auraient pu donner des monstruosités mal commodes et mal faites (vite pensées, mal pensées et vite faites et mal faites). Le centre du Havre reconstruit (re- né ou né à nouveau sous une autre mais forte personnalité) n’est pas le quartier Meriadeck (ideologique et mortel….) de Bordeaux ni le “vieux” saint Malo “reconstruit ” PRESQUE à l’identique et sans plus aucune âme, ni une de ces villes nouvelles pour toujours en toc de la ceinture parisienne. bien sûr, ce qu’a fait Auguste Perret est magnifique, et j’avais pensé, bien avant que ce soit à la mode, y acheter un appartement. Mais il a construit sur des ruines. Ce qui n’est pas le cas de son élève, Denis Honegger, qui avec la bienveillance du PCF, a rasé en proche banlieue des quartiers populaires sous le prétexte d’insalubrité, et faire vivre des gens, qui n’avaient rien demandé, dans un confort dont ils se passaient très bien, et bien sûr, le coût, les charges, l’endettement, qui vont avec. sans doute pour « changer la vie », ce grand idéal de gauche. Trop attendre de la sociologie dans le domaine du développement humain ne peut qu’engendrer de la déception. Cette « science » n’à ni prevenu ni empêché en vrac : le nazisme, le communisme, le capitalisme… et les désatres qui ont avec. Elle a même plutot confortablement accompagnée ces perversions. Elle n’apportera rien au transhumanisme comme elle n’a rien apportées aux dérives technologiques. Elle ne réequilibrera pas le concept des ‘smart cities’. Sur la question de l’urbanisation et de le « sensibilité » des cités, on en constate d’ailleurs les échecs régulièrement. Les « scientifiques » seront en revanche ravis de la quantité et de la qualité des données qu’ils vont pouvoir récolter, ils vont donc s’assurer de ne pas être laisser sur le bord de la route. Tout ceci reste tres theorique et fonctionne dans un monde sans probleme d’approvisionnement d’aucune sorte. Que devient une Smart City quand il y a penurie d’energie ? comment est-elle approvisionnee en nourriture ou en energie qu’elle consomme a gros bouillons ? Que devient-elle en cas de grosse crise financiere ? plus de sous = plus d’approvisionnement non plus ? pas de soucis, priorité leurs sera donnée. Impossible que ces “centres économiques, politiques et d’action des castes économiques dominantes” ne se voient limitées dans leurs compétitions mondiales. Toutes les infrastructures seront (re)créées, entretenues et optimisées pour cela (routes, eau potable, eau usée, numérique, carburant, DAB, …) 🙁 au détriment du reste. Je vous invite dores et déjà à vous intéresser aux infrastructures hors des villes dynamiques (état du réseau de routes secondaires, compteurs électriques “intelligents” permettant de restreindre les consommations sur certains secteurs au profit d’autres secteurs, dépenses d’entretien du patrimoine culturel et technique (par chez moi les canalisations d’aduction d’eau potable ont plus de 50 ans par ex. ), disparition de services publiques, …). vouloir résoudre les problèmes de la modernité avec plus de modernité. on fera de même pour optimiser la rentabilité. Les mêmes décideurs les mêmes effets. Le seul vrai problème des villes est la maîtrise du foncier. C’est donc le marché c’est donc la loi du plus riche. Il n’y a rien à espérer dans ces conditions de violence sociale. le mode de prise de décision. le reste est perte de temps. Un concept foireux de plus. Déjà le terme fait pouffer de rire. Ensuite, c’est en Anglais (c’est signé…). La seule chose intelligente à faire, c’est de fuir les villes. Dans l’état où se trouve la société, vous allez voir ce qui va arriver aux grandes villes, il suffit de regarder en arrière. Avec le risque d’être Horrifié et paralisé en statue de sel. Bref, la reconstitution des Tours de Babel. Mon dieu, quel avenir ! Quand je lis ces déjections, je bénis chaque jour qui me rapproche du dernier.